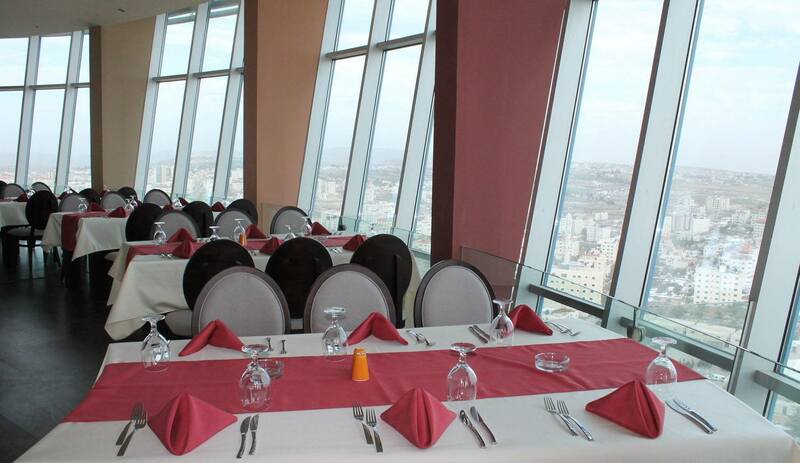 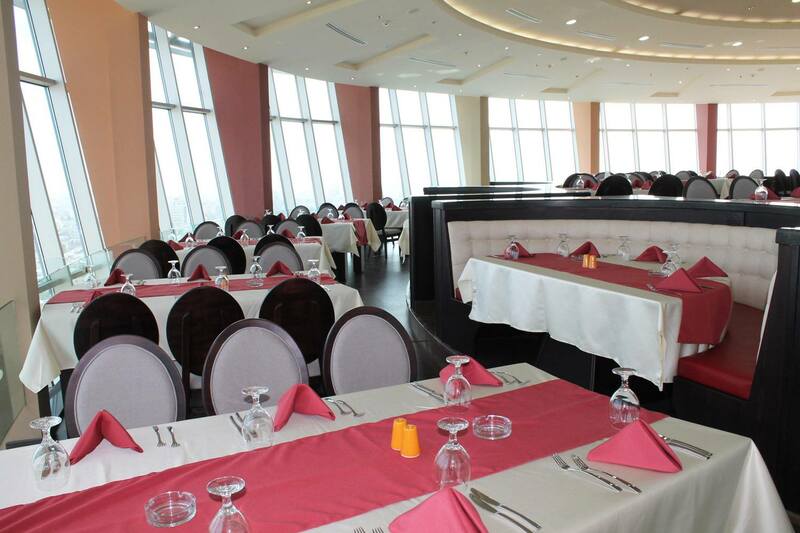 The first revolving restaurant in Palestine is situated in the largest and tallest tower in Palestine and is already proving to be a national landmark. As the restaurant revolves you are treated to truly amazing vistas. 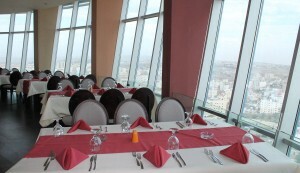 Ramallah, Jordan, the Holy City of Jerusalem and the Mediterranean Sea are all clearly visible on clear days. 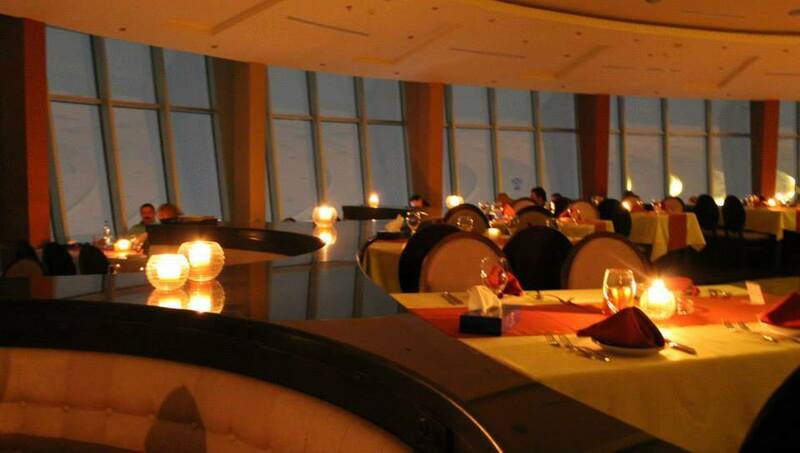 Sunset viewed from the revolving restaurant is an experience you will treasure throughout your life. 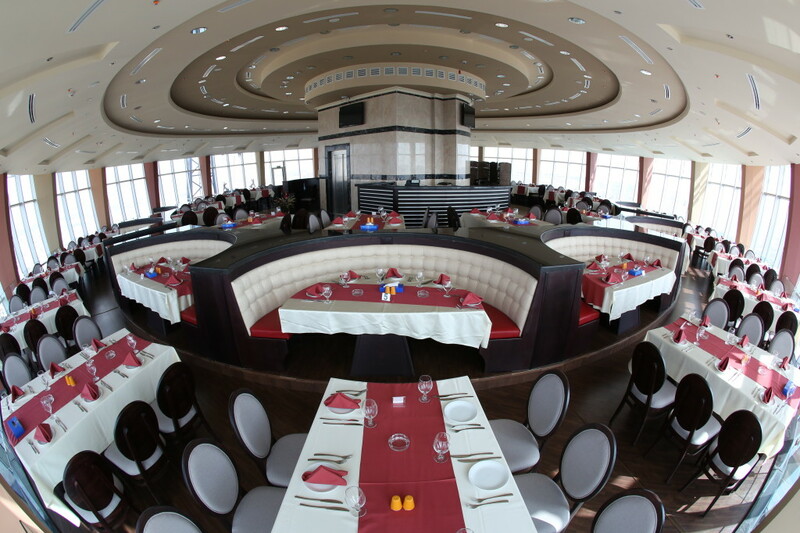 The restaurant seats up the 338 diners and offers an international cuisine with all your favorite dishes. Dine and drink in the tranquil atmosphere and ambiance; truly a unique and unforgettable experience.